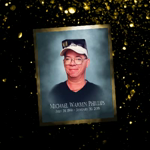 Michael Warren Phillips, 59, of Sedalia, MO, passed away Sunday, January 20, 2019 at EW Thompson Health and Rehabilitation Center in Sedalia. He was born on July 24, 1959 in Sedalia, the son of Lloyd Calvert Phillips and Dorothy Lucille Callies, who preceded him in death. Mike was a 1977 graduate of Smith-Cotton High School. He went on to graduate college from MU in 1981 with a Bachelor’s Degree in journalism. He worked for the Sedalia Democrat from 1981 to 1986 and for the Sedalia News Journal from 1993 until he retired. He enjoyed reading, watching sports, walking, and loved keeping up with Sedalia youth sports. He is survived by a brother, Russell Phillips (Martye) of Sedalia; and two cousins, Bonnie Gregory of Independence, MO, and Larry Treuman of South Carolina. Besides his parents, he was preceded in death by his foster parents, Gladys Dey and William E “Boots” Dey, who raised Mike from the age of six after his mother passed away. Funeral services will be held at 2:00 p.m. Thursday, January 24, 2019 at Rea Funeral Chapel. Visitation will be from 7:00 p.m. until 8:00 p.m. Wednesday, January 23, 2019 at the chapel. Burial will be at Memorial Park Cemetery, Sedalia. Pallbearers will be Warren Dey, Sabrina Bybee, Gerri Barnes, Sheri Austin, Martin White, and Jody Chmelir. Memorial contributions are suggested to the Liberty Park Stadium Fund. Condolences to Russ, family and friends. Classmate from Class of 1977.